A History of Philanthropy | Crockett Foundation - Tag In & Help Out! Jim Crockett and Jim Crockett Promotions have a long history of philanthropy over the years. Whether the Crocketts were donating the entire gate from a wrestling match or holding the annual BBQ at Jim Crockett Memorial Ballpark, the need to give back is deeply rooted in the Crockett DNA. While Jim was working his way up the wrestling ladder, this humble man always knew that he would have to find a way to pay it forward. Nothing could eclipse donating the gate from the annual wrestling match on Christmas Day at the Charlotte Coliseum but the annual BBQ came close. As the years went by the BBQ became a staple, Jim and Lib Crockett would have the tickets on the desk of George Harbin, ring announcer and Jim Crockett Promotions office staff, on pay day in the weeks leading up to the BBQ. George could be heard saying over and over again “Want your check? Buy a ticket.” Some people would call it a strong-arm tactic but there were few wrestlers that would argue with the request besides it was all for a good cause. The event would be host to the most famous and infamous wrestlers of the time. It wasn’t long before wrestling fans got in on the action and for the price of a BBQ ticket could rub shoulders with their favorite baby face or heel. Who wouldn’t want to sit in an old wooden baseball park swapping war stories with Johnny Weaver, George Becker or Ole Anderson while eating great BBQ? Not to mention the entire Crockett family would be in attendance. There would be an opportunity to bend Big Jim’s ear about your favorite match. A nudge was given to the wrestlers to attend but it was mandatory for the family to come out and support their parents and/or grandparents. Also mandatory for the younger Crocketts, at the time, to learn the value of giving back and the legacy that Jim and Lib Crockett were establishing. 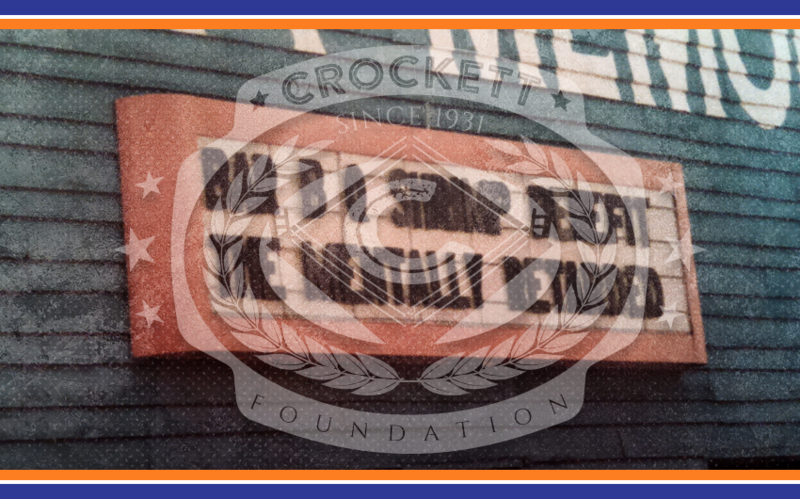 A charitable legacy that is alive today in the form of the Crockett Foundation. Please help the Crockett Foundation continue this legacy by donating today.